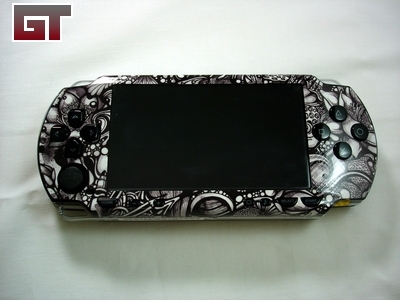 Next up is the Sony PSP. 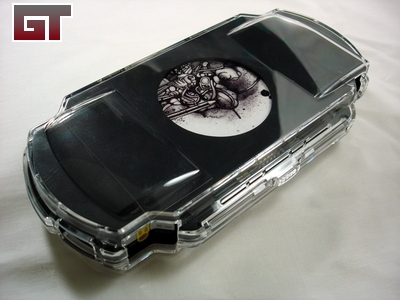 One difference in the PSP package is that it came with a GelaScreen, which is a clear screen guard. I placed that on the screen first before going ahead with the outter skin. The outter skin process follows along the same lines. I just used the buttons as a guide to place the GelaSkin in the right position. 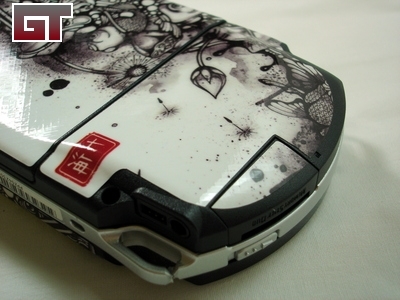 There are instructions included with the PSP package which gives a more detailed installation. 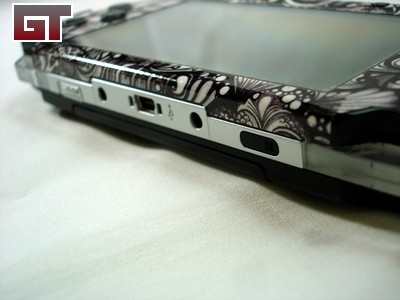 Just like the DS, the skin for the PSP is cut perfectly all the way to the edges. 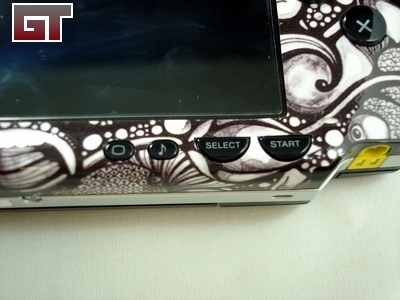 The rear skin is different than the DS in that it's cut up into separate pieces. This is due to the UMD door that sits right in the middle. The memory duo slot is also cut out to allow access to it when needed. 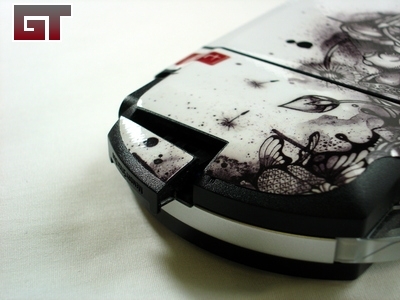 Here's a shot of God of War with the GelaSkin and GelaScreen applied. 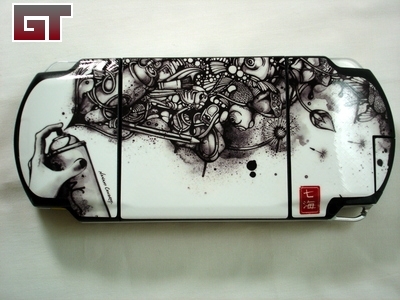 I have a Logitech hard case which the PSP with GelaSkin fit into still without any problems. Overall, the GelaSkin is a breeze to install compared to normal skins you come across. 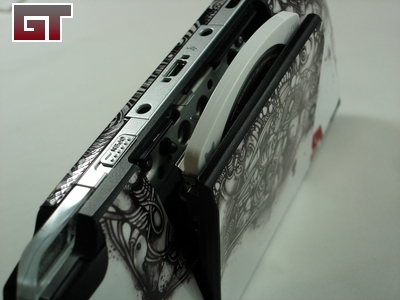 The thick 3M vinyl provides good protection in most areas and gives your DS or PSP a totally different look. Thanks to Brian over at GelaSkins for sending over these samples. 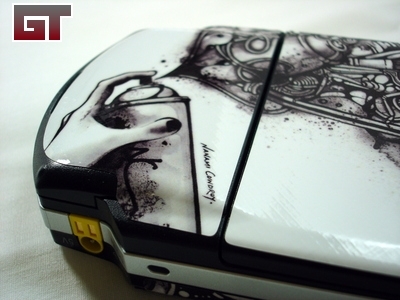 They also carry skins for other items, so take a look if you need something for your gear.